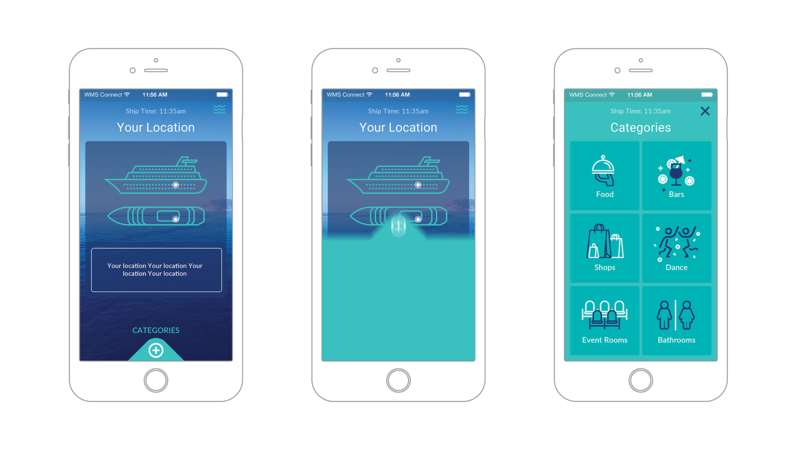 WMS uses state of the art technology to provide the world’s largest suite of at-sea cellular communication services for passengers and crew. WMS operates a redundant, high-availability core network based on the worldwide industry standards of GSM and CDMA. Our network is designed to be fully equipped for remote and self-sufficient operation and monitoring. By partnering with AT&T Mobility and MTN Satellite Communications, we provide the absolute best-in-class service to our customers. AT&T Mobility is the leading GSM carrier in United States with international roaming in over 200 countries worldwide. 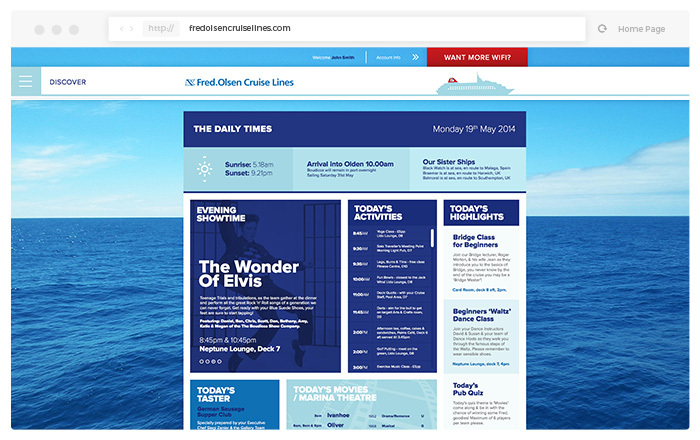 On board sign in and web experience, as well as mobile device platform design and development for onboard enjoyment. 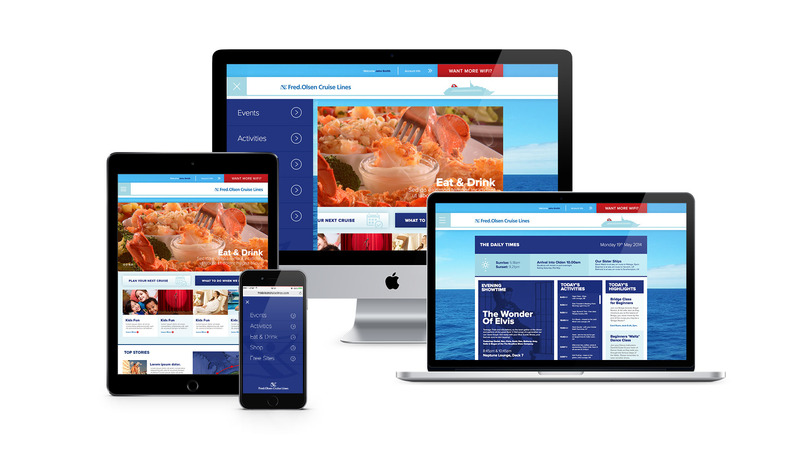 The WMS team at AT&T needed a weblogin form that would allow passengers to access relevant information about their trip, payment history, as well as information about the cruise they would be attending. 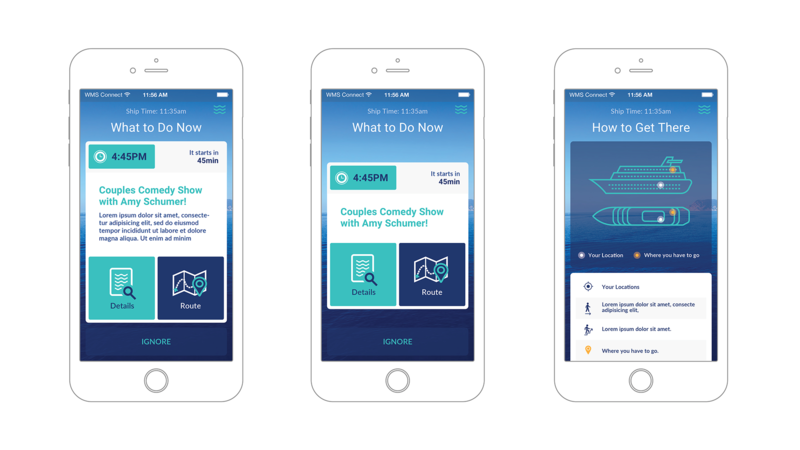 They also needed a mobile app platform built to allow all cruise passengers the ability to use an on-board device to access several aspects of the cruising experience. 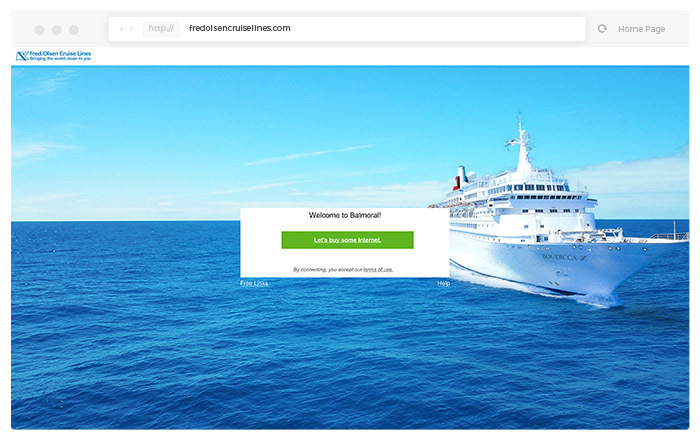 DB Collective designed an interactive Web login solution packed with features to allow cruise passengers to enjoy their trip. 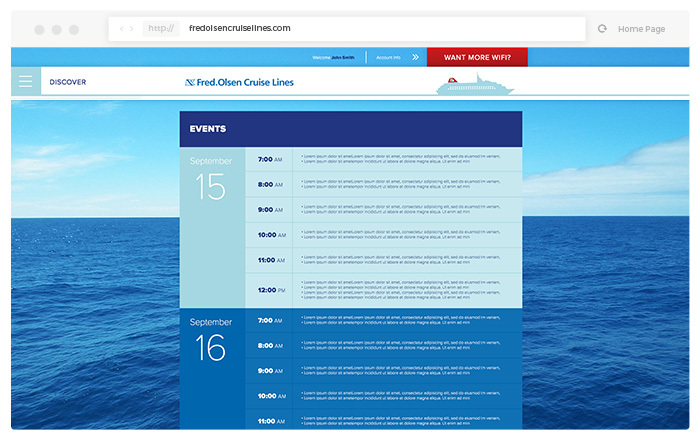 What to do, itineraries, where to shop & eat, plus more. They would be able to get a few free web sessions prior to buying additional internet packages or phone packages. 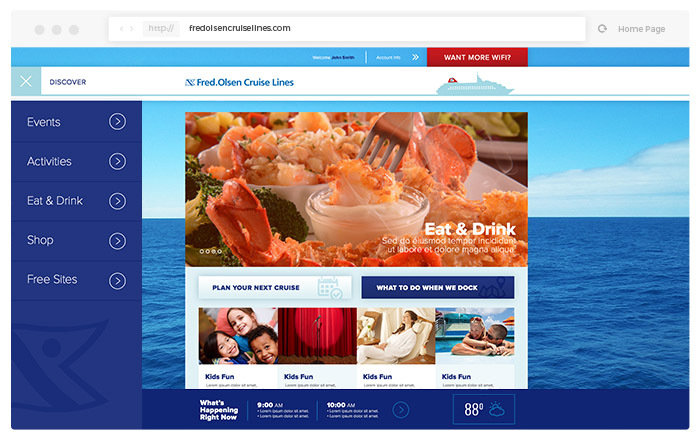 In addition we designed their first mobile experience platform that paved the way for the mobile experience on all their Cruise Partners. 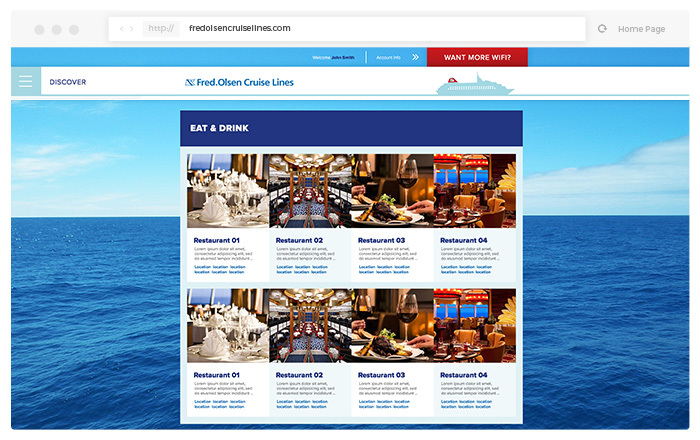 But using technology onboard can greatly enhance your trip. 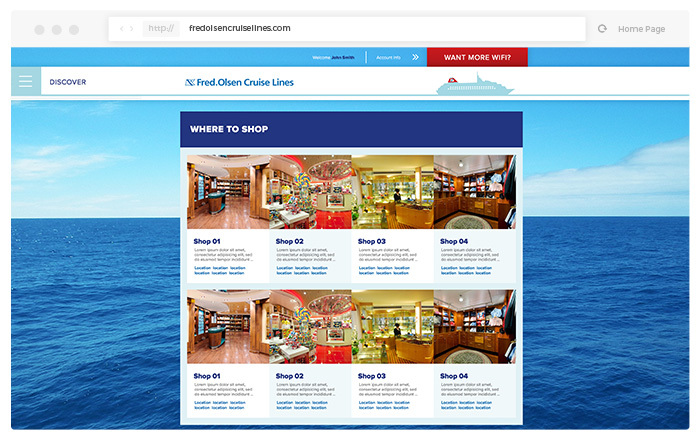 Find out the best places to dine, shop, have fun. Book the shows you can't miss. Get notifications of specials. See how much are you spending. And get access to the internet & a phone line in case of emergency.